You could debate for days about book to movie adaptations. 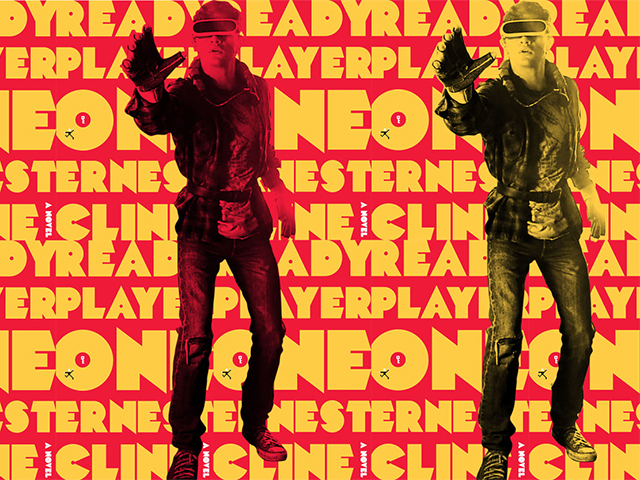 Ernest Cline’s ‘Ready Player One’ leaps from pages to the silver screen in Ireland on March 30th, a release that is highly anticipated due to the success of the quirky book and the fact that Steven Spielberg directed it. However, we’re here to take a look at the book, which was released way back in 2011. Set in 2044, Ready Player One tells the story of high-schooler Wade Watts, a kid who comes from a bad background and finds his escape through a virtual reality life simulator called Oasis. Wade befriends an array of people through Oasis, and uses it to get away from his difficult life. There are endless references to the 80’s, the era that Oasis creator James Halliday grew up in. After Halliday passes away, he leaves his fortune to whoever can solve his riddles that have to be worked out through Easter eggs that he has hidden throughout Oasis. While the references themselves are very well thought out and written, it doesn’t forgive the lackluster story that runs throughout. There are some moments that will genuinely provoke a groan or a face-palm and rightly so. The story-telling is lazy and uninventive, and instead relies on countless references to try and salvage some sort of a story. For the first while, Ready Player One is genuinely entertaining and enjoyable. You want to learn more about Wade, you feel for his poor background and you really do hope that he succeeds in his mission. But then the horrific clichés begin and you discover that not only is it a book that uses more references than original sentences, even the story is rehashed from every other mediocre Young Adult book. By the time you’re half way through the book, you know where it’s going. A love interest that is teased from the very start becomes more prominent, there’s a ‘plot twist’ and a whole load of clichés thrown in throughout and after a while, it just becomes boring. Initially, Wade and his buddies slinging insults at each other from 80’s games is entertaining, especially when you recognise them. By the end of it you’re hoping there’s actually going to be some sort of plot development that you haven’t expected and that the references will somehow simmer down, even a little. While the text of this story is far from inspiring, the trailers for the movie adaptation seem to rely on Michael Bay-esque levels of random explosions to cover up the terrible story. Wade is portrayed as overweight and unattractive in the novel but the fact that Tye Sheridan will play him on the big screen completely flips that on its head. Critics have quoted the movie as being “loyal to the book, but also its own story” so who knows what kind of car crash it’s been turned into. But hey, at least Wade’s parents had the foresight to give him the alliterative name of a superhero before he was orphaned. That’s something.